Mascarpone is a soft, triple-cream Italian cheese. It has a somewhat tangy flavor, is easily spread, and is excellent on fruit, in pastries, and much more. Mascarpone is white, soft and pliable. It looks similar to clotted cream, just with a thicker consistency. Choosing: Mascarpone is not widely offered, so the supermarkets that do carry it usually only carry one or two brands, making the decision simple. Buying: Mascarpone is more readily offered than it used to be. It is usually found in the specialty cheese section of your grocer in 4 oz tubs. Procuring: To make your own mascarpone, start with a quart of minimally processed cream and a tablespoon of vinegar or lemon juice. You will also need;cheesecloth, a strainer, a double boiler, and a cooking thermometer. Pour the cream into the double boiler and increase heat slowly until the cream reaches a temperature of 190 degrees. Add a tablespoon of vinegar or lemon juice and stir. Cover the pan immediately as curds begin to form and remove the boiler from the heat. Allow the pan to stand for 10 minutes before pouring the curdled cream through a cheesecloth-lined strainer. Allow the curds clustered on the cheesecloth to cool to room temperature. Cover the strainer, place it over a shallow bowl and refrigerate for 24 hours, setting the cheese while it drains. The mascarpone cheese is now ready to use. 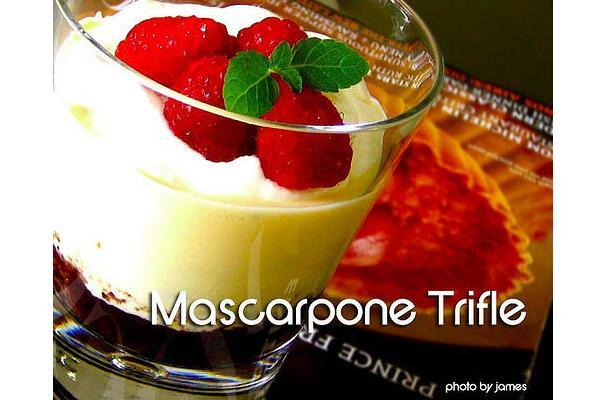 Mascarpone can be used in a variety of ways. The most popular are with fresh fruit, as a filling for a pastry, or as an ingredient of the italian dessert tiramisu. It can also be used as a substitute for heavy cream or cream cheese in dishes like risotto. Cleaning: This product does not need to be cleaned. Mascarpone has to be refrigerated, and can last as long as any other cheese in the fridge. Mascarpone cheese is used mostly in Northern Italian cuisine. In the United States it is best known as a key component in the popular dessert called tiramisu. This famous dessert from northern Italy is a combination of coffee liqueur, ladyfingers soaked in espresso, egg yolks, sugar, cocoa and Mascarpone. Mascarpone, while widely used in desserts is an incredibly delicious ingredient to add to savory dishes like risotto and filled pastas. History: Mascarpone originated around 1600 in Lombardy of North Italy Southwest of Milan. Some say the name came from "mas que bueno" (Spanish for "better than good") when the Spanish ruled Italy. It is made from light cream (~25% butterfat) which has been heated and thickened by the addition of tartaric acid to product a rich creamy product which is spreadable. By the way, as a friend of Italian descent urged me to point out, the correct pronunciation is "mahs-car-PO-nay."